Win a spa trip to Hawaii! You could win a spa trip for two to the Four Seasons Resort Hualalai, a member of Hawaii’s Kohala Coast Resort Association! Worth nearly $6,500, it includes round-trip airfare on Hawaiian Airlines, four nights in an Ocean View Room at the Four Seasons Resort Hualalai, and two luxurious apothecary spa treatments. To enter, tell us below in 80 words or less why you deserve a Hawaiian-spa vacation. No purchase necessary. Contest begins June 28, 2009 at 12:01 a.m. Central Time (CT) and all entries must be received by 11:59 p.m. (CT) on August 25, 2009. Open to legal residents of the 50 United States and the District of Columbia age 21 or older at the time of entry. Void where prohibited by law. For the complete rules, click here. 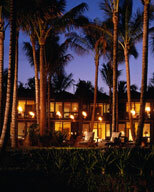 Why do you deserve a Hawaii spa trip? 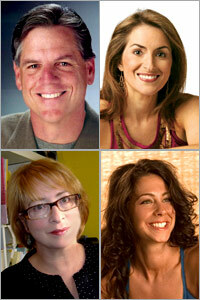 Our Experts (Clockwise from top left): Dr. Bill Benda, Frances Largeman-Roth, Sara Ivanhoe, and Sara Altchul. Seperating fact from myth when it comes to organic food and alternative remedies is hard to do. That's why we created our new Natural Living center. Wondering if that organic banana really worth the extra money? Want to know exactly what homeopathy is? If you’re confused about what environmentally-friendly paint to put on your walls or want to know if organic beauty products are better for you, ask our team of experts. Should I Worry About Chemicals in My Shampoo? I’m Having My Period. Should I Do Yoga? Should I Be Fitted for Running Shoes? I'm Pregnant And a Vegetarian. Should I Worry?